Here is a list of all new features in PDF Studio 11. 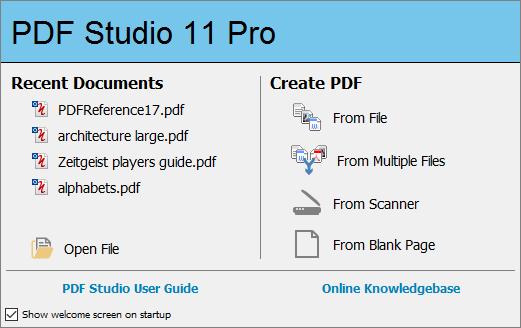 Make sure to read PDF Studio 11 press announcement. New welcome screen that allows you to quickly open recent new files, create PDFs from various sources, or access the user guide and knowledge base. Document Preview: preview window displaying what the document will look like once printed, navigation buttons allowing you to navigate the preview pages, and document properties showing selected paper and document sizes. 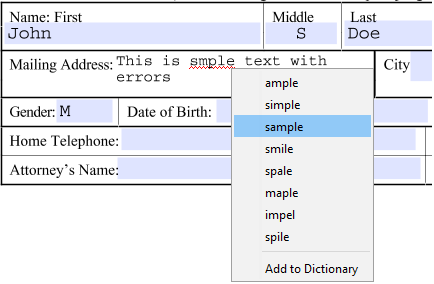 Enhanced Page Ranges: “Pages” option allowing a custom range of pages if needed using values separated by commas. For example, to print only pages 2 to 4 & 6 to 12 & 20 of a 30 page document the user would enter “2-4, 6-12, 20″. Print to File: Option to print to a .prn file instead of directly to the printer. This allows you to reprint the document without running or even having the original application that created the file. 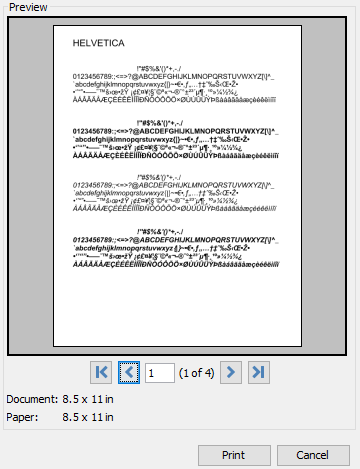 New text stamp formatting options including: font size, bold, italic, alignment, and border options.